The straighte wire drawing line contains spooler wire pay off, wire descaling machine, straight line wire drawing machine, wire tension device & spooler wire take-up. 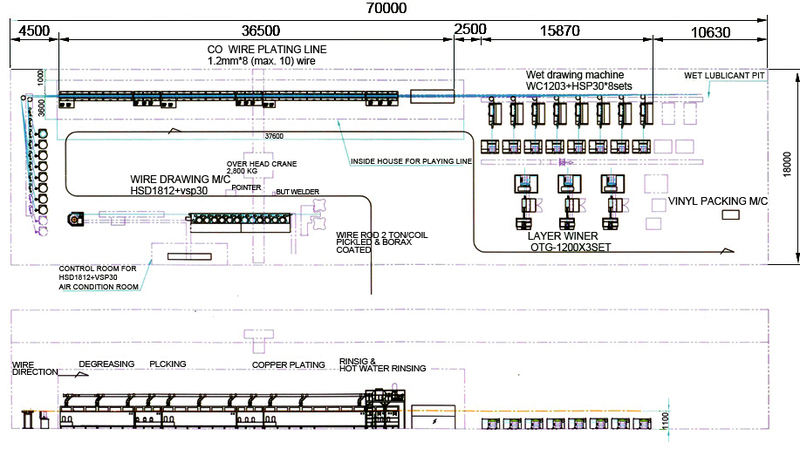 The straighte wire drawing line contains spooler wire pay off, wire descaling machine, straight line wire drawing machine, wire tension device & dead block wire take-up. 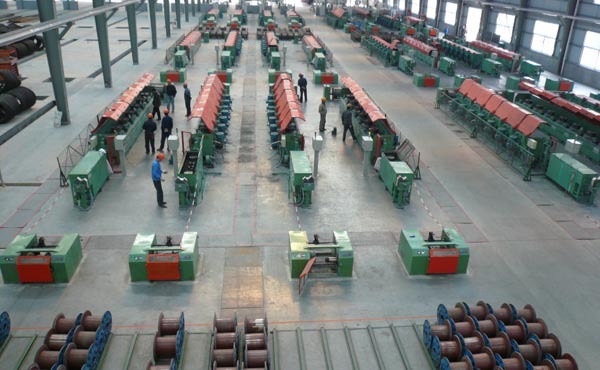 The straighte wire drawing line contains overhead wire pay off, wire descaling machine, straight line wire drawing machine, wire tension device & deadblock wire take-up. 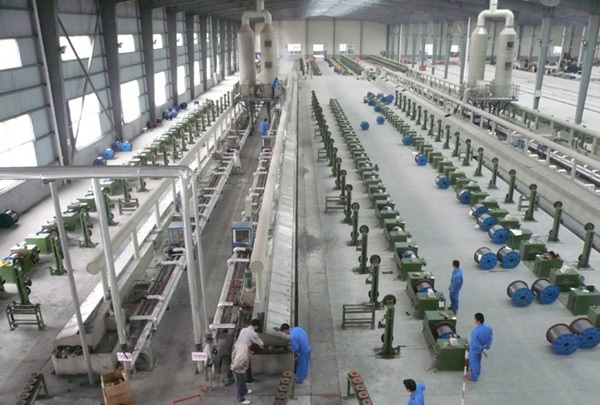 The straighte wire drawing line contains overhead wire pay off, wire descaling machine, straight line wire drawing machine, wire tension device & spooler wire take-up. This production line contains pre-treatment line, LZ7/560 wire drawing machine, φ 800 spooler pay-off, hot water ringsing, electrical acid washing, eleculusis acid washing, neutralization washing, electrolysis acid washing, water washing activation, chemical plating, water washing and neutralization washing, hot water washing, drying, spooler take up, welding wire layer wrapping machine, etc. 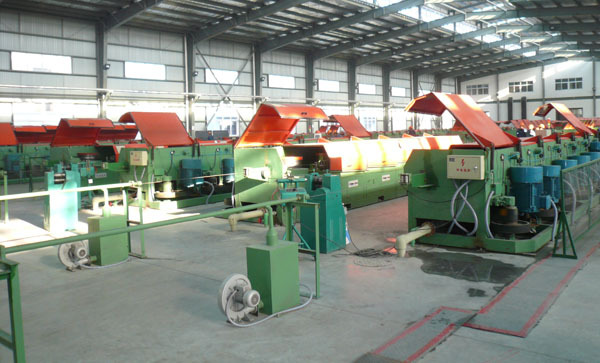 This production line contains hot scrubbing, electrical acid washing, eleculusis acid washing, neutralization washing, electrolysis acid washing, water washing activation, chemical plating, water washing and neutralization washing, hot water washing, drying, plating line drawing and polishing take-up, spooler take up, CO2 gas protection welding wire layer wrapping machine, etc. This production line contains pre-treatment line, wire drawing machine, degreasing, pickling, chemical copper plating, rinsing and hot water sinsing, wet wire drawing machine, layer winding machine, vinyl packing machine.